Hardworking people such as yourself need footwear that works hard, too. These Timberland PRO Men's Brown Workstead TB0A1KHV 214 6 Inch CT Work Boots offer a strong build that you can rely on to last. Better yet, they're great for workers because they're protective ... (see full details) (see specifications) #TB0A1KHV214. Hardworking people such as yourself need footwear that works hard, too. These Timberland PRO Men's Brown Workstead TB0A1KHV 214 6 Inch CT Work Boots offer a strong build that you can rely on to last. Better yet, they're great for workers because they're protective and comfortable, too. Firstly, these men's anti-fatigue boots are durable and well-made. These are crafted with a premium full-grain leather upper, and as far as materials go, leather is the best choice for an upper. It's incredibly tough and resistant to the wear and tear of everyday use. Plus, it features brass and zinc hardware that are long-lasting, too. The electrical hazard Timberland PRO boots are also built with a non-marking, all-weather thermoplastic urethane outsole. It's durable, but it's also perfect for a number of working environments due to its non-marking, all-weather properties. To bond together the strong upper and outsole, cement construction is used. It creates an even stronger build by uniting the separate parts. The TPU outsole found on these men's brown boots is also capable of keeping you safe. The outsole features slip, oil, and heat resistance. The sole is resistant to temperatures up to 248 degrees Fahrenheit, and it can also protect you from electrical hazards. Aside from the outsole, the Workstead work boots can protect you from crushed or damaged toes, too. They're made with a composite toe that features CarbonShield technology. The composite toe protects you from drop impact and compression, and it meets the requirements for the safety standard ASTM F2413-11 I/75 C/75. And lastly, these men's all-weather boots are supportive and comfortable. They're made with a mesh lining that increases breathability. As you work, your feet will certainly appreciate the air flow. It will help keep them cool and sweat-free. Better yet, the lining is antimicrobial treated, so it won't ever harbor odor-causing bacteria. In addition to the mesh lining, the composite safety toe boots are made with an anti-fatigue footbed. The footbed is durable and resilient, but its most important characteristic is its dynamic arches and open-cell polyurethane design. The arches provide excellent support, and the open-cell polyurethane offers even weight distribution as well as heat dissipation and increased airflow to control moisture. The leather EH boots also feature a fiberglass shank that absorbs the shock that results from ground strike impact, leaving your feet with potentially reduced soreness and exhaustion. 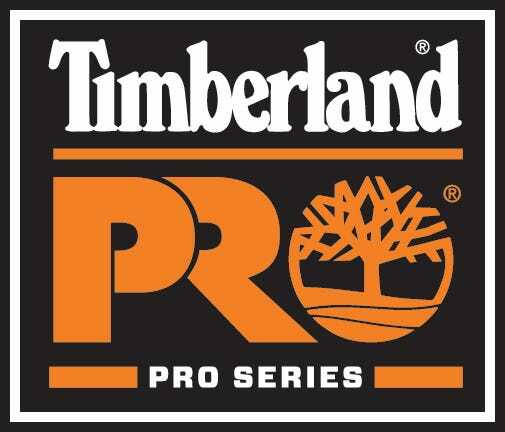 To give yourself durability, comfort, protection, and more, get these Timberland PRO Men's Brown Workstead TB0A1KHV 214 6 Inch CT Work Boots here at Working Person's Store today. Timberland PRO Boots: Men's Brown Workstead TB0A1KHV 214 6 Inch CT Work Boots is being added to your cart.